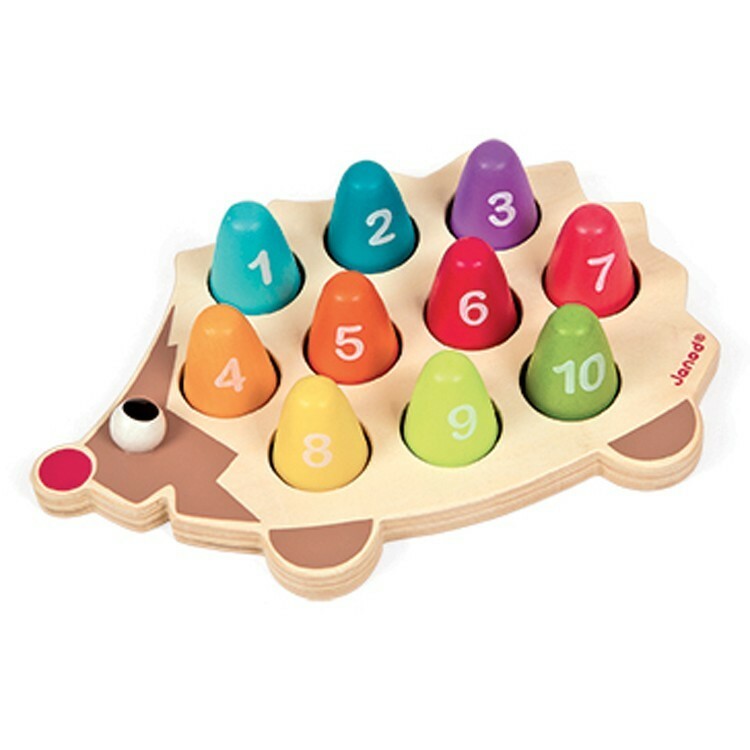 The carefully chosen by educators four popular smart toys in this Preschool Math Activities Learning Kit are truly multiFUNctional, combining many educational elements and play features!. 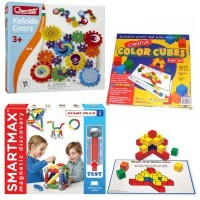 Preschool kids do math activities every day: from sorting the toy cars to counting the stairs, from setting the table for their group to identifying the shapes as they build the block tower, etc. Expose preschool children to more fun activities and give them more chance to count, match, sort, measure and do other thinking activities that promote math skills. 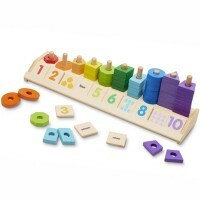 Preschool Math Activities Learning Kit is aimed for kids 3-4 years old. 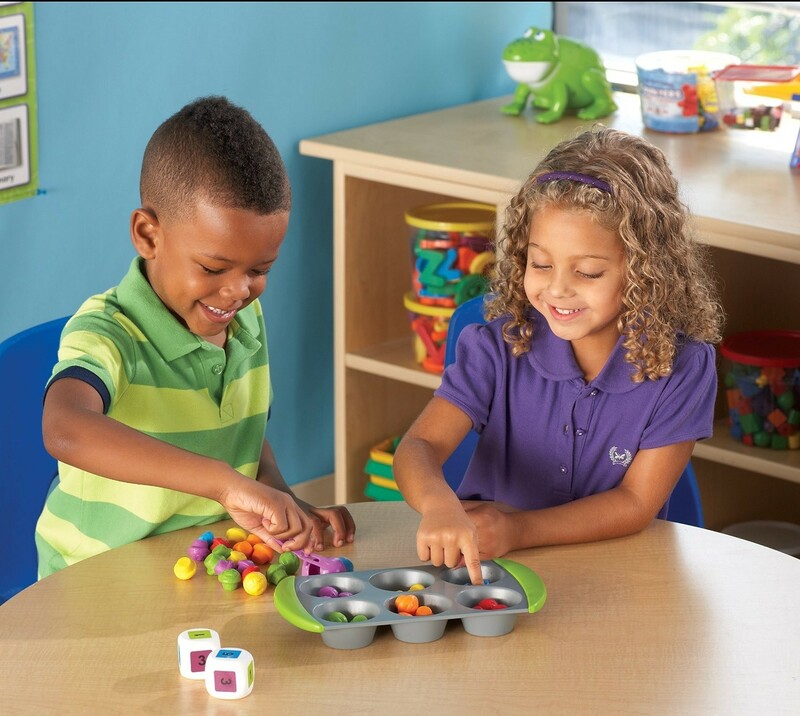 This Educational Toys Planet's early math skills kit is a terrific foundation for creating the right learning environment at home or preschool classroom. 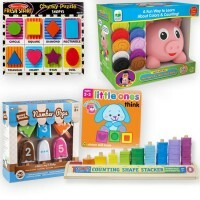 Kids will love count, sort, build patterns, lace and play math games with these thoughtfully selected smart toys. 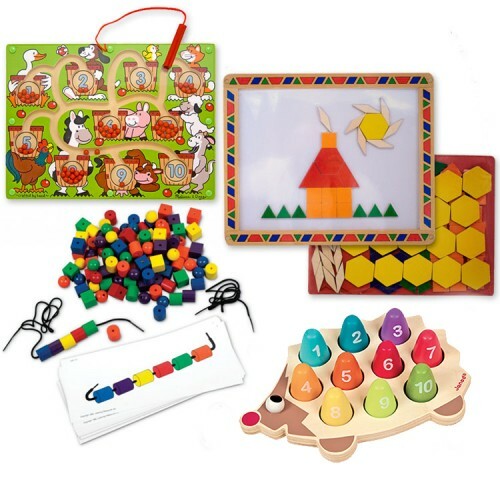 This preschool math skills development set includes 4 popular toys for these ages: Mini Muffin Match up Math Learning Activity Set and Beads and Pattern Learning Card Set by Learning Resources, Magnetic Number Maze and Magnetic Pattern Block Kit Geometric Magnets by Melissa & Doug. 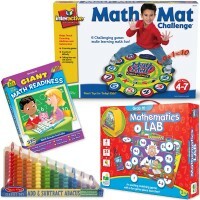 Well-made, safe for preschoolers, these educational toys will keep your little learners for hours doing fun activities without even knowing that they are learning math! 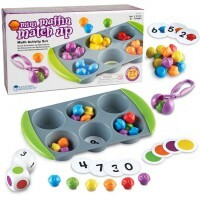 Count the mini muffins, practice moving the counters with the Squeezy Tweezer, sort them, play imaginative bakery, or play a thinking game with your friend - all math activities are fun with the Mini Muffin Match up Math Learning Activity Set. 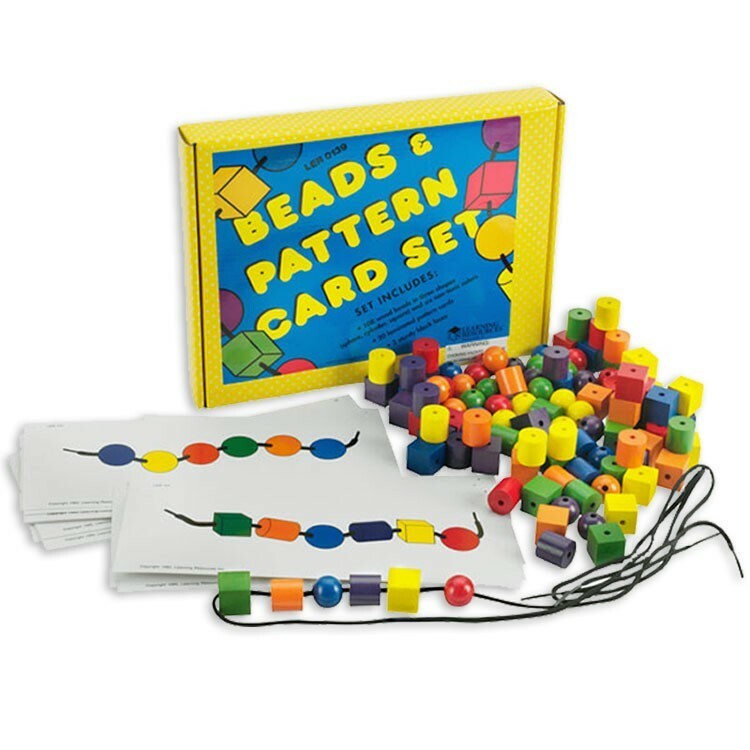 Beads and Pattern Learning Card Set allows kids to lace their own bead patterns with 108 colorful hardwood beads, or follow the ones on the 20 activities cards. 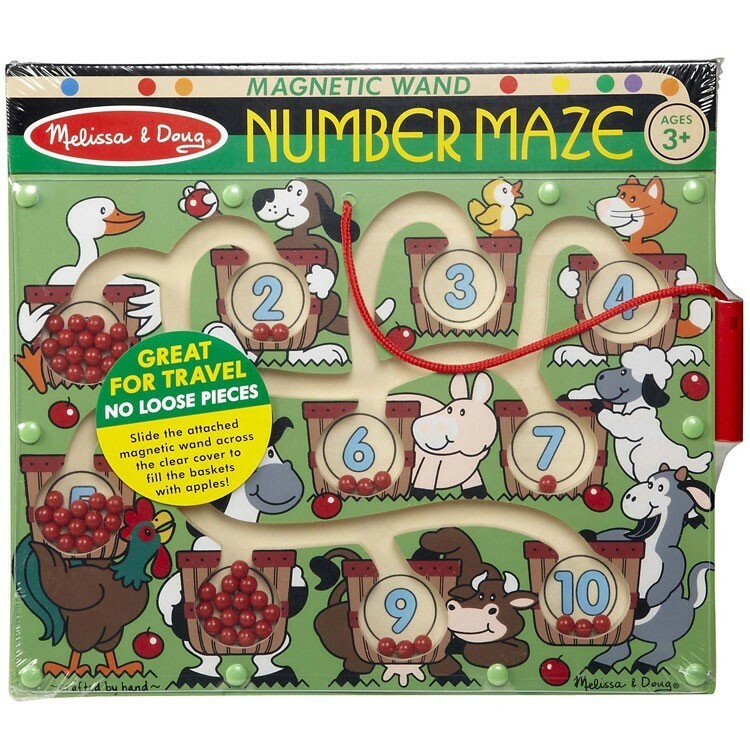 With the magnetic maze preschool kids guide the magnetic pole through the maze to pick up the little balls, and leave the right amount with each number. 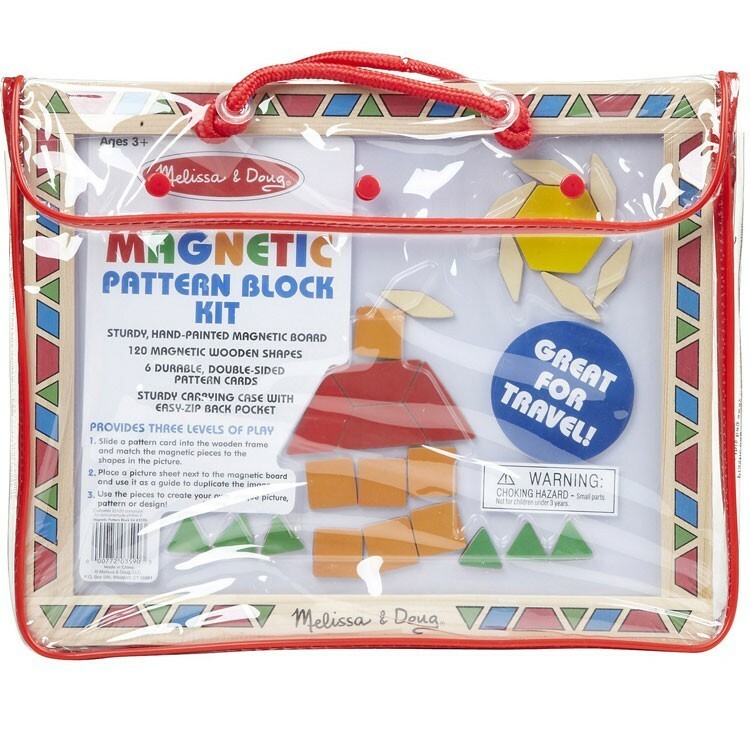 The bestselling Magnetic Pattern Block set includes sturdy magnetic board and 120 magnetic colorful wooden shapes to design geometric pictures from the 12 durable pattern cards. 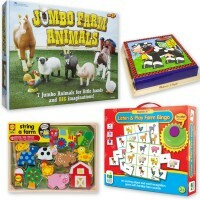 What we like about the Preschool Math Activities Learning Kit is that these 4 toys are truly multifunctional, combining so many educational elements and play features together. 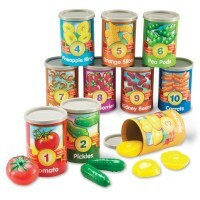 We are sure, that preschool learners will like these toys, too! 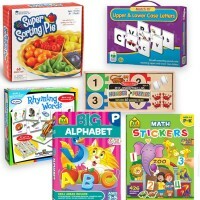 Write your own review of Preschool Math Activities Learning Kit.